Overview: The ancient Maya civilization was once the most advanced civilization in the Americas, stretching across what today is southern Mexico, Guatemala, Belize, El Salvador and Honduras. Mayan population dramatically declined during the sixteenth century prior to the Spanish conquest and suffered further losses during that colonization era, but the Maya peoples never disappeared. 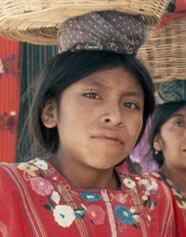 Today, the Maya and their descendants have a sizable presence across Guatemala and in the Chiapas state of Mexico.